Public works projects can get done without drama and paralysis. Who knew? 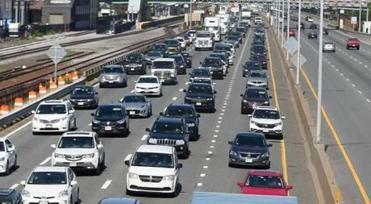 Traffic flows under the Commonwealth Avenue Bridge after all lanes were opened up three weeks ahead of schedule. As #Pikeocalypses go, this one was a letdown. 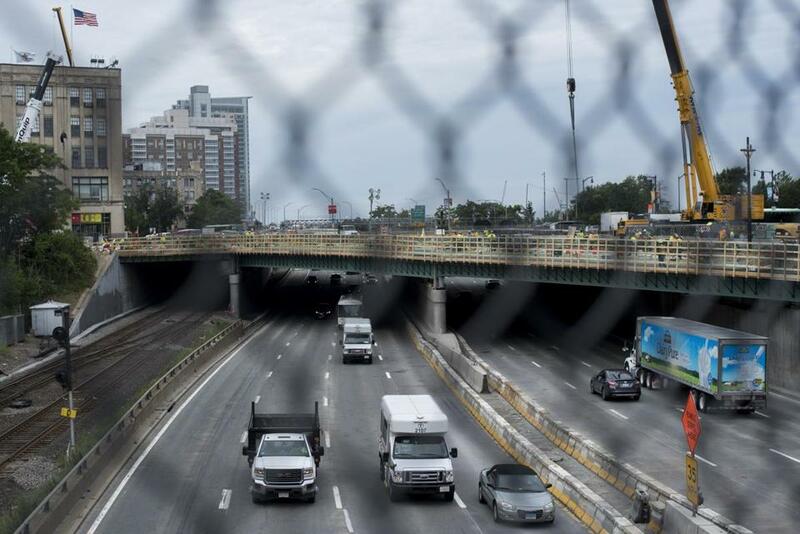 A series of lane closures on the Massachusetts Turnpike, triggered by the replacement of a decrepit bridge on Commonwealth Avenue, was supposed to create epic traffic jams. Long before crews started reducing the Pike’s capacity by half, the state was telling drivers to beware. Hearing the dire warnings, I pictured vultures circling overhead, as motorists dazed by endless backups gave up and wandered out onto the pavement in the summer heat. Focus on the big picture. An obvious goal for any bridge repair is to get the asset back in good shape quickly and at a reasonable cost. Contrast the Comm. Ave. project with the Longfellow Bridge, where a renovation that began in 2013 is two years behind schedule. The project budget on the historic span has soared past $300 million. As a recent episode of the podcast “Soonish” pointed out, the state built the soaring Zakim Bridge for about a third of that price. (If you’re interested in transportation or infrastructure in Massachusetts, you should really listen to the whole thing). The Longfellow’s salt-and-pepper towers are well worth preserving, but having to revive a long-abandoned riveting technology for the underside of the bridge was — how to put this? — totally bonkers. At some point, the public has to say: No, we’re just not doing that. Instead, we handle lots of projects in the fussiest possible way and lose sight of the overall goal. The longer an idea is debated, the more its scope, budget, and time frame expand; the MBTA almost lost the vital Green Line extension project for this reason. Project specs become so detailed, transportation experts joke, that they dictate which color the screws should be. All four lanes in both directions on Interstate 90 were opened after 3 a.m. Monday — nearly three weeks ahead of schedule. Stop it! Underpromise and overdeliver instead. Public officials fear the wrath of motorists.The Comm. Ave. reconstruction, once complete, should yield some improvements for cyclists and Green Line riders. But the planning around the looming Pikeocalypse was clearly designed to manage motorists’ expectations and minimize their pain. To lots of people in public office, broken-down subway trains are just another part of the scenery; marathon-length traffic jams, however, would be a huge problem that robs real people of precious time. The Massachusetts Department of Transportation went to great lengths to avoid the latter — partly by bringing in heavy-duty equipment to get the job done quickly, and by giving drivers ample warning. Not every driver always has to drive. MassDOT’s excellent public messaging worked; carmaggedon was averted because enough people telecommuted, rejiggered their schedules to avoid rush hour, or just took the T. In other words: If the incentives were different, and our transit system were faster, fewer people would drive to work alone. “While there are trips that just can’t be changed, a lot — a lot — can be changed,” Northeastern civil engineering professor Peter Furth says. This is what a commitment from leadership looks like. In Boston, the Walsh administration promises to accommodate cyclists and pedestrians better. But from the outside, it’s not easy to tell whether the bureaucracy is playing along. Doesn’t progress take time? Well, not always. Transportation Secretary Stephanie Pollack, acting highway administrator Jonathan Gulliver, and their team showed the public that, when government means to get something done on a deadline, it can happen. That’s great news for drivers on the Pike — and a precedent that pedestrians, cyclists, and transit riders shouldn’t forget.